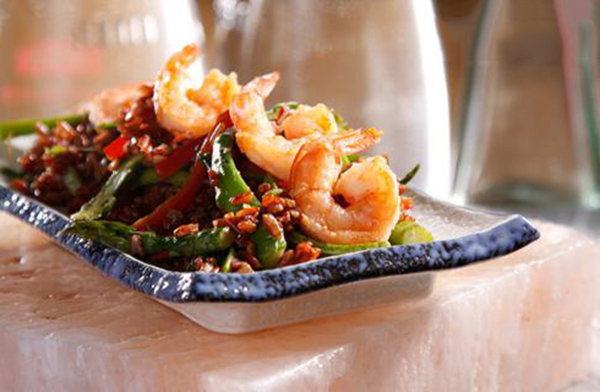 Asparagus shrimp and red rice in Asian style – a classic combination of Southeast Asia, which in this recipe is conveniently served straight with rice. 1. Wash the rice, pour 3 pm. H. Of water and 1 pm. L. Sea salt and boil for 20 min. Or until tender. Allow to stand closed, another 10 minutes. 2. May be pruned 1cm from the base and vegetable peeler cleaned the next 4-5 cm from the stem. Pour about 2 min. In boiling salted water, drain and immediately showered with cold water, not darkened. Cut in two lengthwise. 3. In hot oil put shrimp and stir 3-4 min. Or until they become. Remove to plate. In the same skillet put the asparagus, zucchini, onion, pepper and ginger. Stir 1-2 minutes until tender. 4. Mix together the soy sauce, fish sauce, water and sugar. 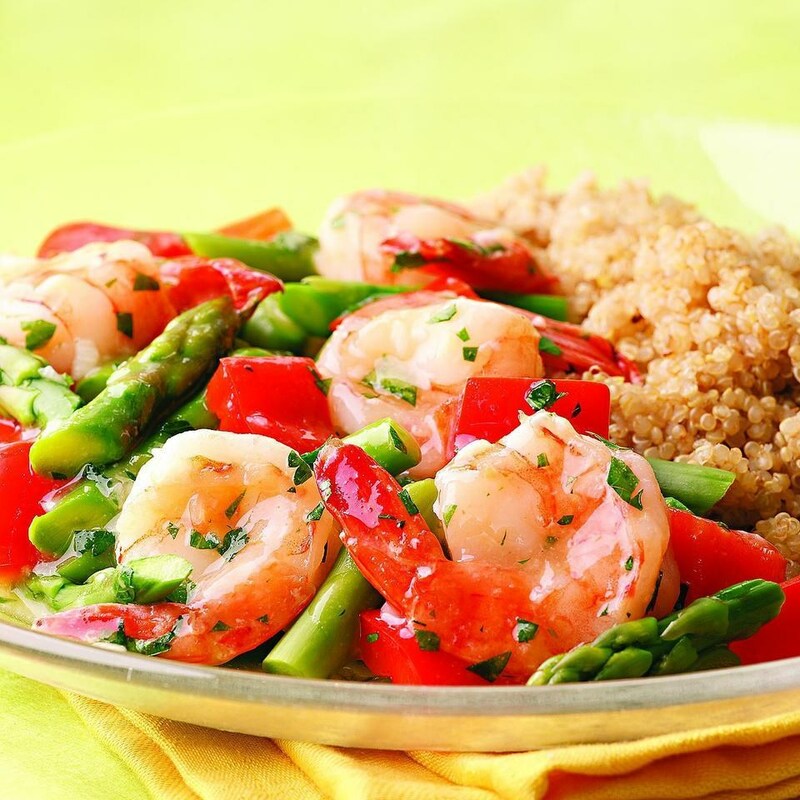 Put them in the pan with the vegetables with shrimp and rice. Stir.